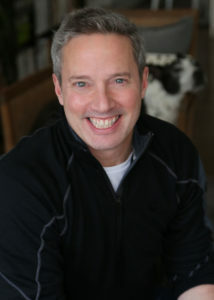 Rick Guidotti, an award-winning photographer, has spent the past twenty years collaborating internationally with advocacy organizations/NGOs, medical schools, universities and other educational institutions to effect a sea-change in societal attitudes towards individuals living with genetic, physical, behavioral or intellectual difference; his work has been published in newspapers, magazines and journals as diverse as Elle, GQ, People, the American Journal of Medical Genetics, The Lancet, Spirituality and Health, the Washington Post, Atlantic Monthly and LIFE Magazine. Rick is the founder and director of POSITIVE EXPOSURE, an innovative arts, advocacy, and education organization which utilizes the visual arts to celebrate human diversity, inclusive of ethnicity, religion, gender, sexual orientation, age and ability. POSITIVE EXPOSURE has significantly impacted the field of human rights, mental health, medicine, and education by providing new opportunities to see each individual as a human being and valued member of our society. The POSITIVE EXPOSURE photographic exhibition premiered at the People’s Genome Celebration, June 2001, at the Smithsonian’s National Museum of Natural History and continues to exhibit in galleries, museums and public arenas internationally. POSITIVE EXPOSURE is the subject of critically acclaimed Kartemquin Film’s ON BEAUTY. POSITIVE EXPOSURE’s powerful collection of imagery, film and narratives celebrates the richness and beauty of human diversity and dignity.